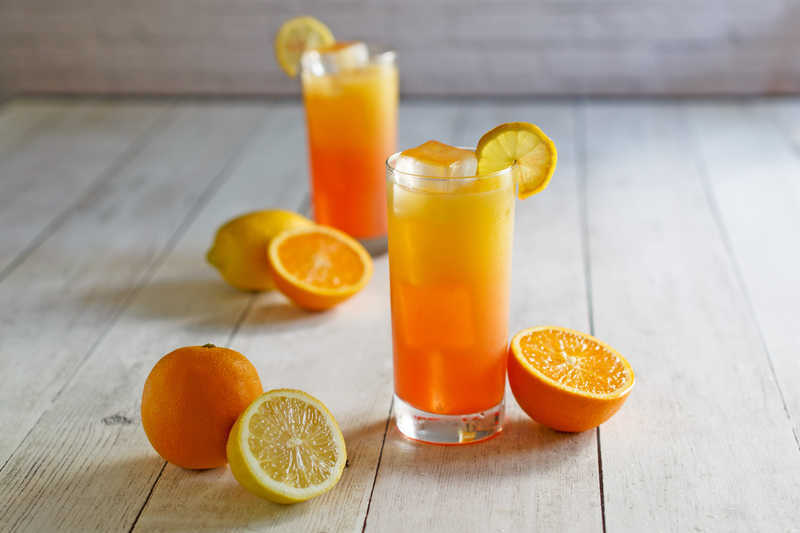 So they say that this drink may be able to revive the dead, but it is a refreshing drink made with light rum, orange juice, grenadine, dark rum, and sweet and sour. 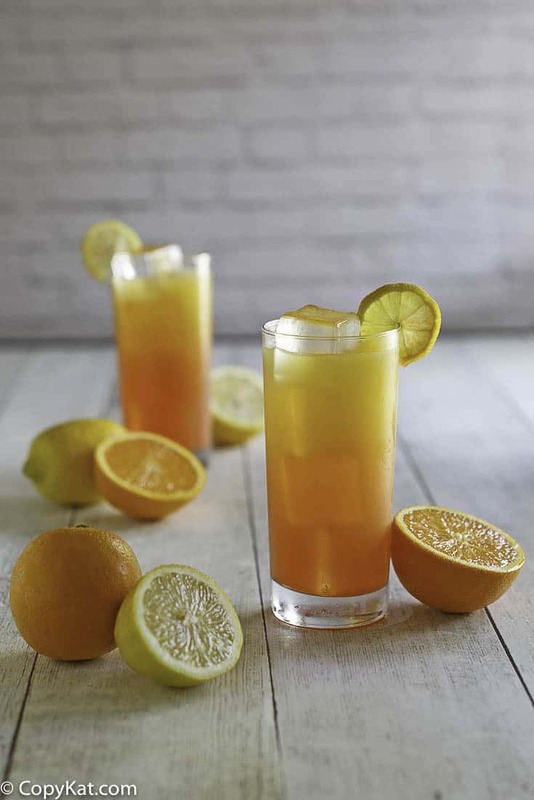 This is the perfect drink to make for a party or a large gathering, if you think it is too strong as listed, you can cut the ratio of alcohol by simply adding more orange juice. If you don’t drink, you can simply add the orange juice, grenadine, and sweet and sour mix. So this cocktail can be made family friendly for everyone. In the restaurant, they use brand name alcohol. They do use Bacardi Rum and Meyers dark rum. You could use other brands since we are mixing so many other ingredients you could easily save a few dollars by using another brand and your drink won’t be adversely impacted by using another brand of alcohol. I do think you should use a good quality orange juice. I like to use the fresh never from concentrate personally. If you are lucky, some grocery stores sell fresh squeezed orange juice, and this can make this drink even better! You may want to make a pitcher of these for your friends or family when they come over. This drink is perfect for a refreshing hot day! Enjoy your own Red Robin Screaming Zombie Drink when you make in your own house. 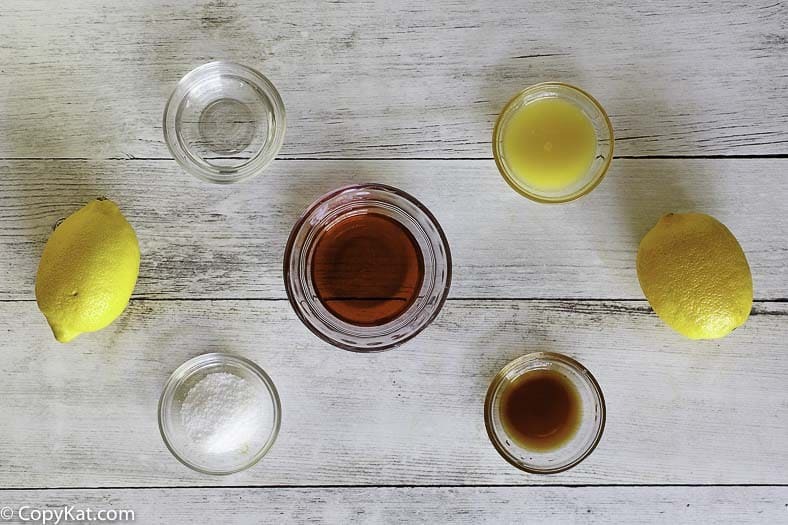 Combine your lemon juice and sugar in a bowl and mix well. In the same bowl (or in a cup) Add in your orange juice and 1 ounce of rum. Stir well. Fill a 16-ounce cup half full of ice and pour your mixture over the top of it. Using a spoon, float the last three ingredients in order. This means you will slowly pour each liquid over the back of a spoon so that it doesn’t mix into the drink too much. I love making these at home. My mother in law can drink too much and get rowdy when we go out. She loves these. So I can make these at home, and she can get rowdy away from people. We are all much happier this way. Funny little box in front of 1/2… is there supposed to be anything there or a glitch in the system? It was a formatting error on my part. Looking forward to making new, fresh dishes that are, hopefully, restaurant quality.